Single auger juicer with stainless steel auger. 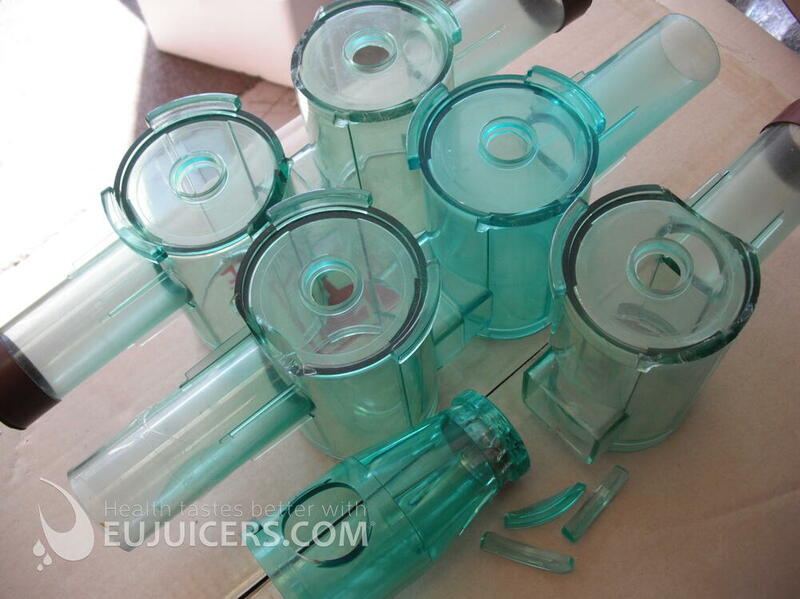 The “Health On” Juicer was very stable thanks to a special body design and the juice from this juicer was clear. 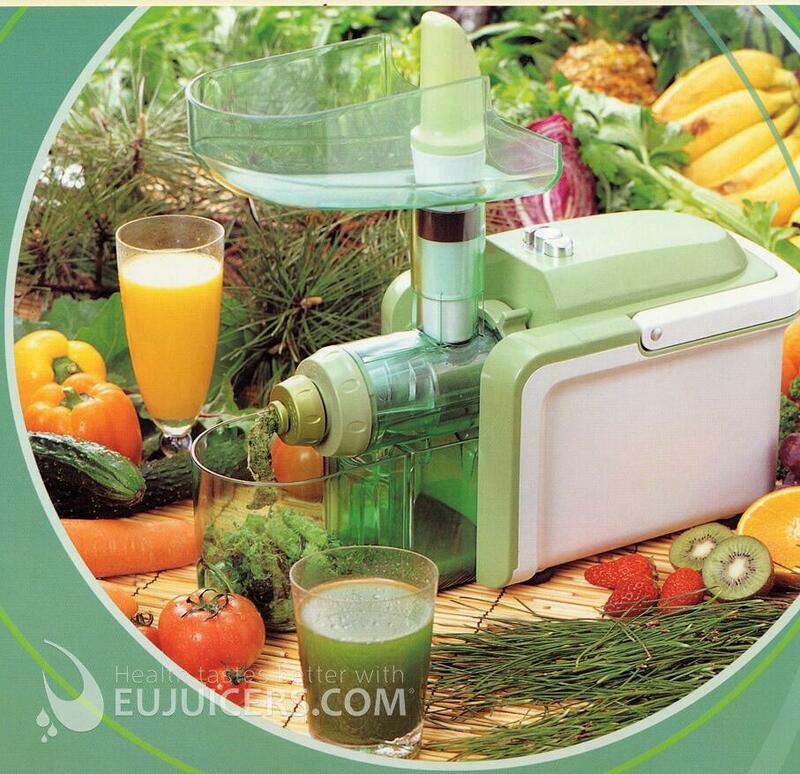 The main reason was a special juicing screen which was different from other single auger juicers. A perforated plate was placed in the back of the juicing screen and this ensures a proper pressure in the front part of the screen. The stainless steel auger was a great feature. Unfortunately, the manufacturer didn't use the same quality of materials in the rest of the juicer. Many claims forced us not to stop selling this product. 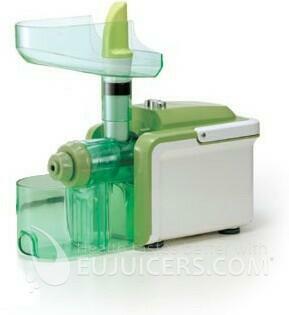 Versatile single gear juicer from Omega. Omega 8006 versatile single gear juicer from american company Omega.